Keep Informed of the week to week activities. Printable timetable attached if you want a copy for your pin board at home. 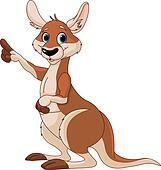 Details are also in the Joeys Calendar on this website. Lisa Ireland, Em Cannon, Tess Cooper, Carleea Ould, Sophie Mepham and Jodie Rogut, assisted by Nick Meyers and Parissa Zamani. What does it cost? Please click here to see current fees. Where do the badges go? Click here for the badge layout. Boys and girls in our Joey Scouts Mob learn to share and care for each other in a social environment. Joey Scouts are encouraged to express themselves creatively, through games, stories and craft activities. Building monsters and spaceships from scrap items, growing plants from seedlings or singing songs together all develop a strong sense of belonging. Joey Scouts enjoy visits to special places such as the local fire station or the zoo and visitors to their meetings create more excitement. They learn this through adventures, craft making, taking fun trips and participating in group activities. They also learn the importance of achieving their goals by earning badges through challenges.